The post Okeechobee Fishing Guides- Okeechobee Fishing Report 3/31/18 appeared first on Lake Okeechobee Bass Fishing at it’s BEST! Top Fishing Guides. The post Okeechobee Fishing Guides- Okeechobee Fishing Report 3/28/18 appeared first on Lake Okeechobee Bass Fishing at it’s BEST! Top Fishing Guides. The post Okeechobee Fishing Guides- Okeechobee Fishing Report 3/27/18 appeared first on Lake Okeechobee Bass Fishing at it’s BEST! Top Fishing Guides. The post Okeechobee Fishing Guides- Okeechobee Fishing Report 3/23/18 appeared first on Lake Okeechobee Bass Fishing at it’s BEST! Top Fishing Guides. The post Okeechobee Fishing Guides- Okeechobee Fishing Report 3/22/18 appeared first on Lake Okeechobee Bass Fishing at it’s BEST! Top Fishing Guides. The post Okeechobee Fishing Guides- Okeechobee Fishing Report 3/20/18 appeared first on Lake Okeechobee Bass Fishing at it’s BEST! Top Fishing Guides. 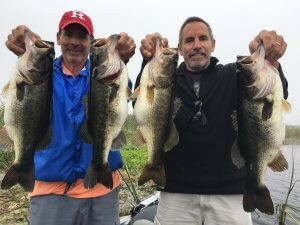 The post Okeechobee Fishing Guides- Okeechobee Fishing Report 3/19/18 appeared first on Lake Okeechobee Bass Fishing at it’s BEST! Top Fishing Guides. The post Okeechobee Fishing Guides- Okeechobee Fishing Report 3/17/18 appeared first on Lake Okeechobee Bass Fishing at it’s BEST! Top Fishing Guides. 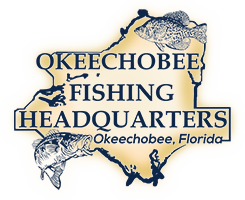 The post Okeechobee Fishing Guides- Okeechobee Fishing Report 3/16/18 appeared first on Lake Okeechobee Bass Fishing at it’s BEST! Top Fishing Guides. The post Okeechobee Fishing Guides- Okeechobee Fishing Report 3/15/18 appeared first on Lake Okeechobee Bass Fishing at it’s BEST! Top Fishing Guides.